Jennifer Balch considers herself a "tropical fire ecologist," a term that would have been an oxymoron a half-century ago. The tropics are, by popular definition, sweaty places with lots of water dripping everywhere and things going squish with every footstep. Sure they&apos;re hot, but that&apos;s only one part of the three needed for fire. Balch, a postdoctoral fellow of the National Center for Ecological Analysis and Synthesis at the University of California, Santa Barbara, does her fieldwork in the Brazilian state of Mato Grosso, at the southern end of the Amazon rain forest. Such rain forest, she explained, might see a wildfire every couple of centuries, and then only when the predominant environmental variable was severe drought. But times are different now, and the combination of climate change and intentional fires set to peel back the jungle to create pastures or cropland has made the study of "tropic fire" genuinely timely. "It was almost a misnomer to say that fire occurred in a tropical forest just a few decades ago," mused Balch, who&apos;s worked in the Amazon since 2004. Now, she said, fires in many tropical forests occur every couple of decades — which isn&apos;t all that different from areas commonly associated with wildfires, like the Western United States or Australia. Fires in the jungle are more likely at the edges of the tropical forest — hence her work on the Amazon&apos;s arc of deforestation, where the savannah meets the humid forests (a zone known as the transitional forest). Fire is more common too when forests are diced into pieces — more edge, after all — or when the canopy of leaves and branches is broken, allowing sunlight and breezes to dry out the accumulated vegetable matter on the forest floor or the detritus of earlier incomplete burns. Balch was the lead co-author, with David Bowman, of a recent paper in Science magazine headlined "Fire in the Earth System." That ambitious paper, among other things, suggested that intentionally set fires used to peel back the world&apos;s forests for cultivation have generated a fifth of the human-generated carbon dioxide pumped into the atmosphere in the 250 years since the dawn of the Industrial Revolution. 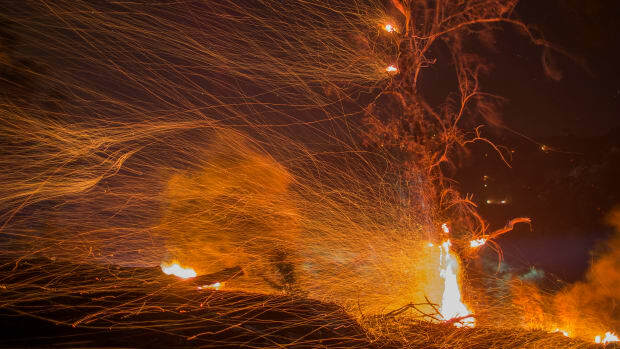 Her work is on the burning edge, literally, of wildfire and human-caused — or anthropogenic — fires. When people meet forest, the story is ultimately predictable — expect fire. David Bowman has studied the history of fire in a very different environment, the world&apos;s most arid inhabited continent, Australia. And after years of watching indigenous Australians wrangle fire to craft their own habitat, he feels most people are at best imperfect users of fire and at worst serial bunglers. 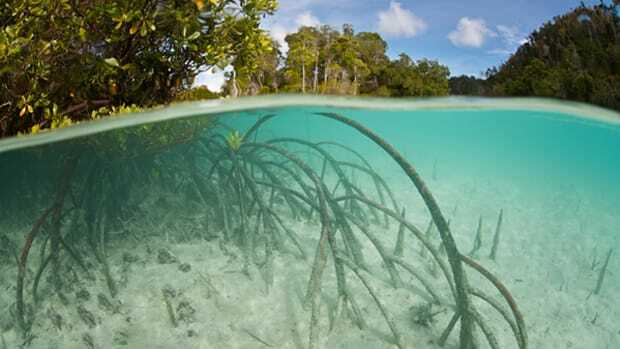 An ecologist based at the University of Tasmania, he only has to let his mind wander north, across the Bass Straight to the state of Victoria, to see the consequences of that bungling. In February, a series of wildfires — some apparent arsons — broke out in the forested areas northeast of Melbourne, ultimately killing more than 200 people. Skip forward several dozen millennia, and enter the European settlers with a different take on fire. Rather than tame fire, they felt it was better to subdue it, to ensure that nothing burned. "We are now looking at defeat in that war," he concluded. "I call it Smokey the Bear blowback. After each wildfire, fire had a nasty habit of coming back bigger and harder." The Victorian fires have been a poster child for that defeat. While the root lay back to European settlement, the proximate factor was tremendous heat. "We had weather conditions," Bowman explained, "that in terms of the historical frame, were absolutely unprecedented. The fire index, which was scaled to 100, showed fire conditions were almost 200. There was an extreme dry period, and extreme absence of rainfall, and 47-degree air temperatures (116 degrees Fahrenheit). The eucalyptus oil flash point is 50 degrees" — and the forests were filled with native eucalyptus. 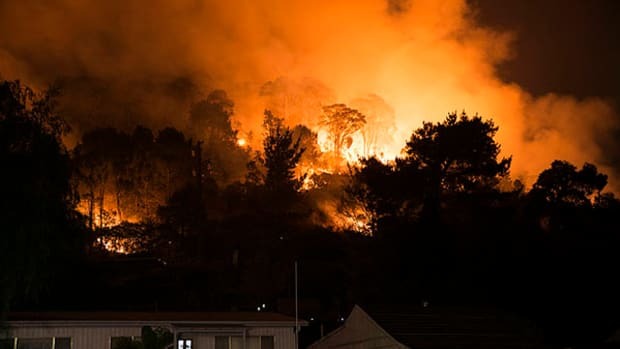 Bowman noted that the actual physical processes in the Victorian fires are still largely unknown, but he described balls of fire blowing out of the trees and people dying from the radiant heat alone. The fire also changed the land surface itself, to the point of exfoliating granite — something normally seen on geological time scales, and not just one black Saturday. So while working at different poles of wildfire research — Amazonian wildfires usually creep along at 15 meters an hour, with the flames rarely rising above knee height — both scientists see the potent interaction of people and flame. Part of it comes from how people manage the lands under their stewardship — setting fires in the Amazon to clear more land for crops or cattle, keeping fires "tamed" in the rural-urban areas where nice homes meet stunning forest vistas, introducing everywhere non-native plants, often grasses that dry to tinder in the late summer. But they also see something else. Changing climatic conditions, the hook in their Science paper, is creating new behavior in wildfires. It&apos;s making those Amazonian wildfires occur in an exponentially quicker cycle, and it&apos;s making areas more used to wildfires — such as Victoria state or Balch&apos;s current home in Santa Barbara, Calif. — much more inflammable. As they wrote in Science, "Human landscape management is implicated in these fire regime transitions, yet underlying climate patterns also alter fire behavior." It&apos;s not just the "warming" aspect of global warming — the higher spring and fall temperatures, the abnormal spiking outliers —that appear to be creating bigger and more frequent wildfires. 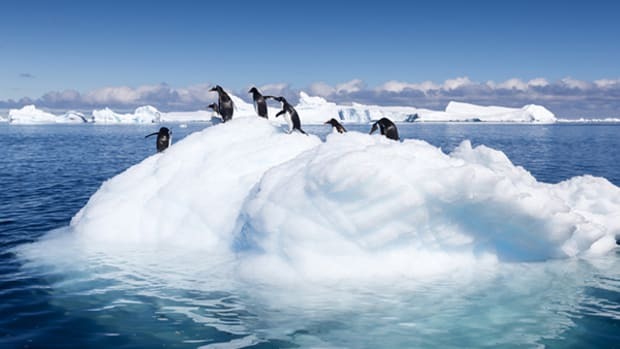 It&apos;s the "change" part of climate change — earlier snowmelt, rain at different times of the year, or in differing amounts — that create new challenges. 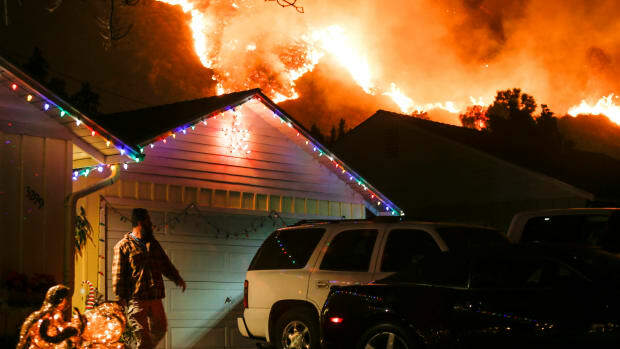 And those challenges then create the next round of change, their paper stated clinically: "Climate conditions are a fundamental driver of fire spread, and fire-induced emissions influence future climate scenarios and fire weather." (The latter idea was explored in the Miller-McCune.com piece "Smokey&apos;s Legacy." "So we get larger fires, more frequent fires, and fires where we haven&apos;t usually seen them," Balch noted. "It&apos;s not fire so much that we have to manage, it&apos;s change. Change is what we have to manage." For example, in Brazil she&apos;s not hectoring big landowners to lay off their Zippos. She&apos;s working alongside them. In Mato Grosso, the work is on the land of Grupo Amaggi, a major agribusiness firm in Brazil that uses fire to clear its own land for cultivation. They&apos;re not receiving any money, but having a supporting environment to conduct research that might impinge on their way of doing business is a genuine contribution. "Yes, the forest needs to be converted in their eyes," Balch said, "but wildfires are something no one really wants," especially when those same fires can destroy Grupo Amaggi&apos;s own crops or facilities. 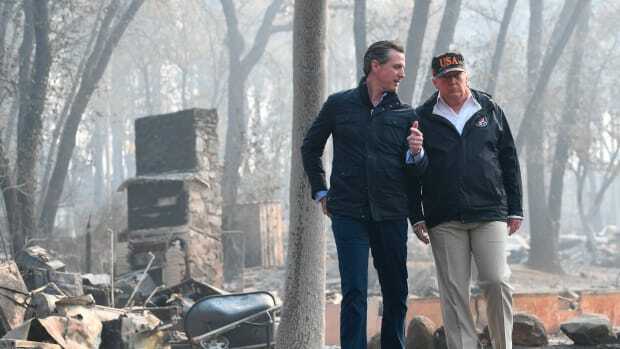 In the Victoria fires, Bowman suggested that even with the unusual conditions — and even excluding the outright arson behind some of the fires — humankind played a role. "We&apos;ve got the most extreme fire conditions we can imagine, but if all the humans were extracted, it&apos;s quite possible we would have those exact same climatic conditions and would have no fire. "If there is any benefit or virtue in such a catastrophe, it&apos;s the hope that people connect that these aren&apos;t singletons, they aren&apos;t outliers, they aren&apos;t anomalies. Once you start there, you can begin the necessary actions that respond to that."